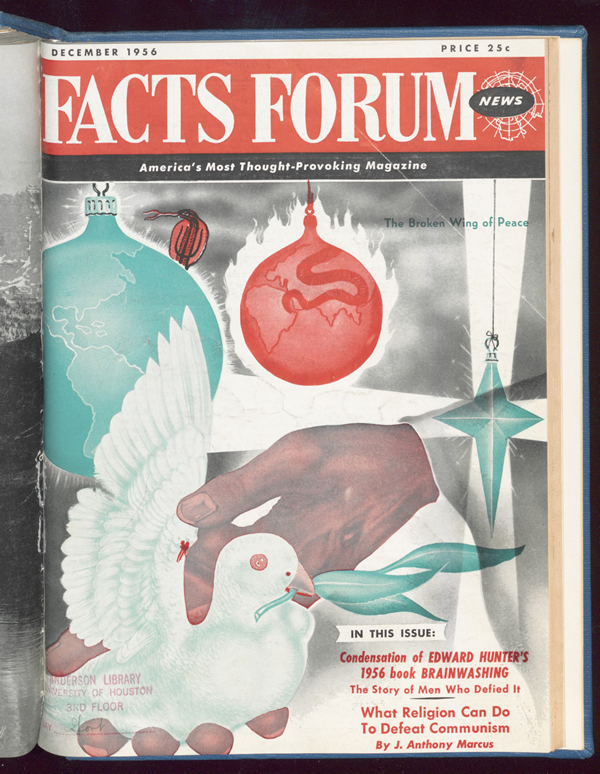 Facts Forum News, 1955-1956 is now available in the UH Digital Library. This collection includes two volumes of the Facts Forum News journal publication, dating from 1955 and 1956. Articles and op-eds in these volumes depict both domestic political issues and global geopolitical tensions during the first phase of the Cold War. The original materials are available in UH Libraries Special Collections.